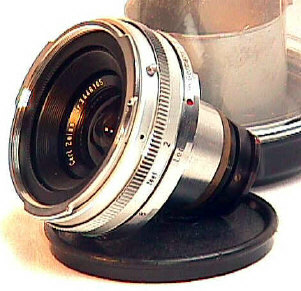 Introduced in 1954, the Zeiss 21mm f/4.5 Biogon wasn't just a new lens, at the time it was the was widest lens ever made for 35mm photography. The Biogon opened up new visual territories that photogs had literally never seen before and soon became a favorites for the pros who could afford it. It was super sharp and almost distortion free with its non-retrofocus design. Of course a separate viewfinder was required. 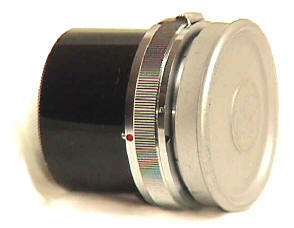 This is the Contax rangefinder mount. 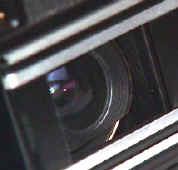 Unlike modern lenses, the rear elements sits very deep into the camera body, almost touching the film plane. A professional photog friend of mine swears the Biogon is the sharpest 21mm he has ever shot with, outperforming the Leica 21mm f/2.8 Elmarit M he tested it against. While I have difficulty believing every Biogon is sharper than every 21mm f/2.8 Elmarit M, that it would even come close speaks extremely well for this legendary design. 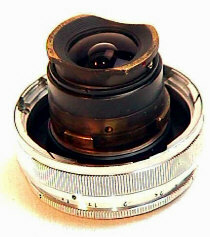 The 21mm Biogon will also work great on Nikon Rangefinders. Although the mounts are not identical, the slight differences make no practical difference for super wides. The 21mm Biogon is the best shooting super wide for Nikon Rangefinders from a performance standpoint and from a dollars standpoint. 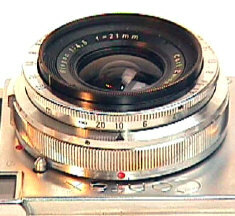 Below shows a 21mm Biogon on a Nikon SP. The second shot shows how deeply the Biogon protrudes into the SP's film chamber. 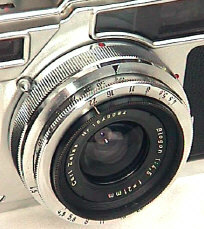 Occasionally you will also see the Contax Biogon on Leicas, either adapted by a repairman, or more likely sporting a non-focusing Contax to LTM adapter, with Leitz bayonet adapter. 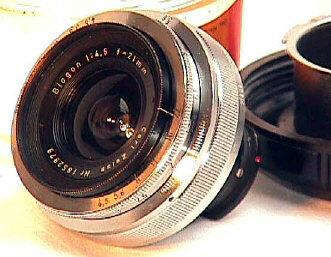 It will also work with coupled rangefinder Contax to Leica adapter adapters, if you know how to make it work!! This Biogon is in Contarex mount. In my experience, the Contarex mount is the rarer than the Contax mount.